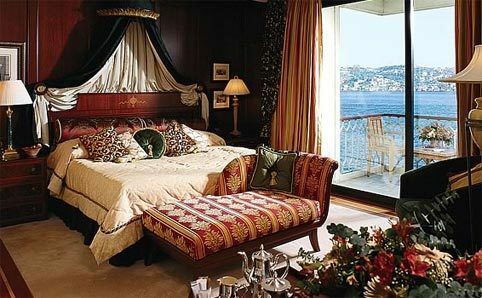 Overlooking the Bosphorus, the Çırağan Palace Kempinski offers accommodations fit for a sultan. The hotel serves guests with a ballroom, meeting rooms, art galleries, 313 rooms and more. 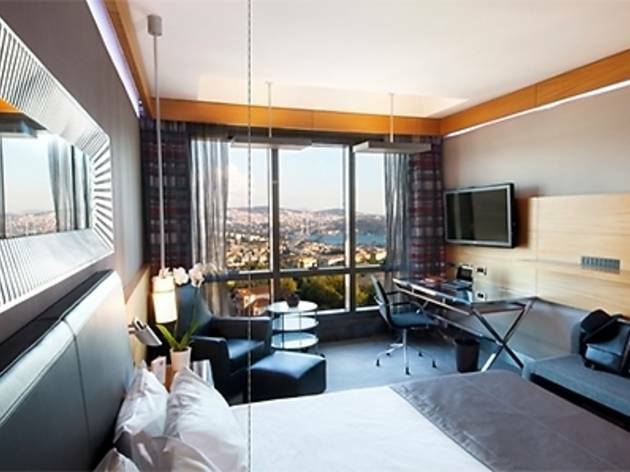 A pleasant alternative to the 102 rooms that overlook the park are the 126 Superior rooms overlooking the Bosphorus, the 20 deluxe rooms overlooking the Bosphorus or the 34 Grand deluxe rooms overlooking the Bosphorus. 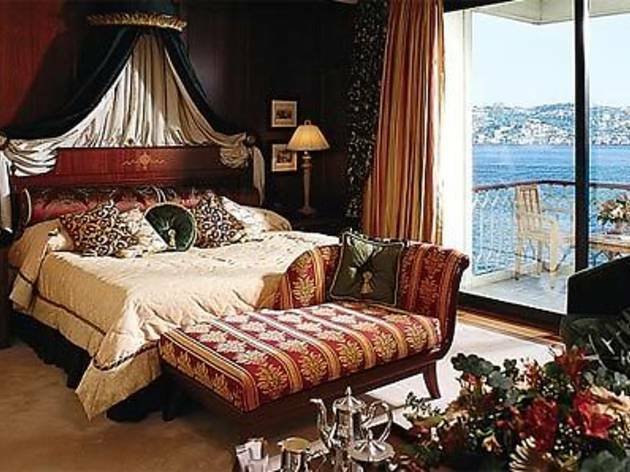 In addition to the hotel’s 20 suites there are also 11 palace suites. The Tuğra Restaurant, located in the palace section, offers Turkish and Ottoman cuisine, the Laledan Balık Restaurant is located in the hotel section, the Gazebo Lounge & Restaurant is open 24-hours, and the Çırağan Barbecue is open during the summer. Swimming in the Çırağan Palace Kempinski’s pool, which is located on the Bosphorus, is an experience in itself thanks to the breathtaking vistas, which can be experienced year-round. During the summer it cools you down and during the winter it warms you up. Those who rent the private cabins by the pool will receive refreshments like cold water and a fresh fruit platter. 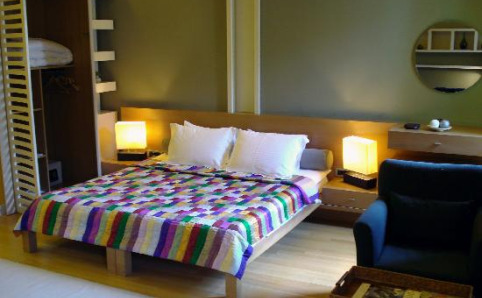 This stylish hotel is in the center of Akaretler, surrounded by cafes and design galleries. 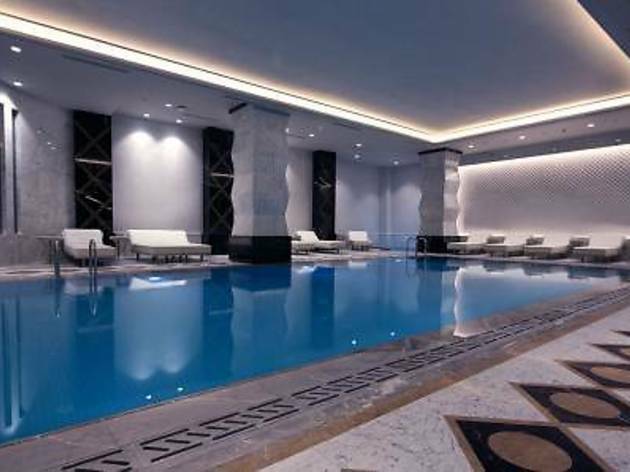 The W features 2 restaurants, a modern gym and a day spa. The historic Dolmabahçe Palace is only 100 yards away. 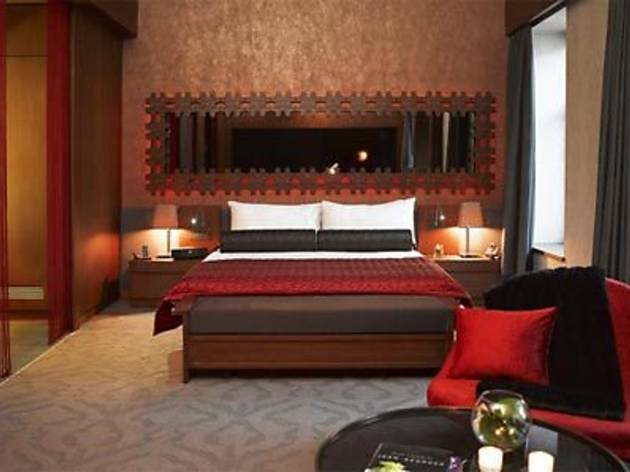 The luxurious rooms of W Istanbul feature 32’’ flat-screen TVs and Bose Wave radios with iPod docks. The design bathrooms include rainforest showers and Bliss amenities. Some rooms offer private grounds or terrace. Okka Restaurant offers traditional Turkish mezes, kebabs and raki service in a contemporary, bistro setting. Signature cocktails and snacks, live DJs and special parties can be found at the stylish W lounge and terrace. The intimate day spa at the W Istanbul offers facials, wraps and massage treatments. The experienced staff uses Ligne St. Barth products. 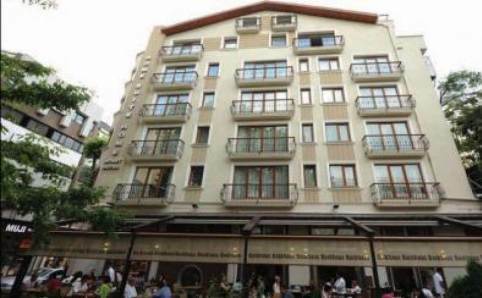 The lively Taksim Square and Istiklal Avenue are both walking distance from W Istanbul. The famous shopping district of Nisantasi is just a 5 minute walk away. 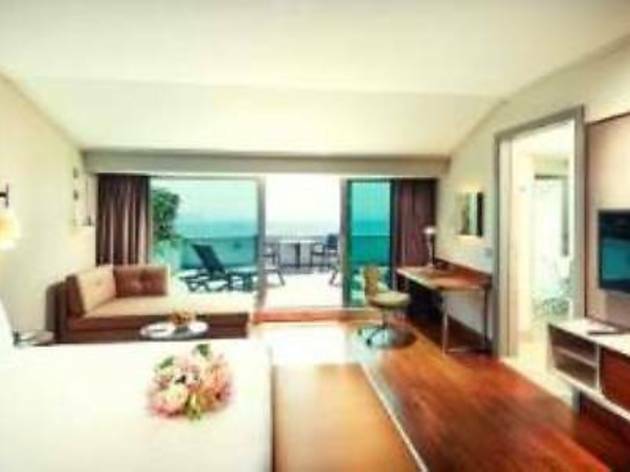 The Point Hotel Barbaros features luxuriously and peacefully designed rooms that offer views of the bustling city or tranquil sea. 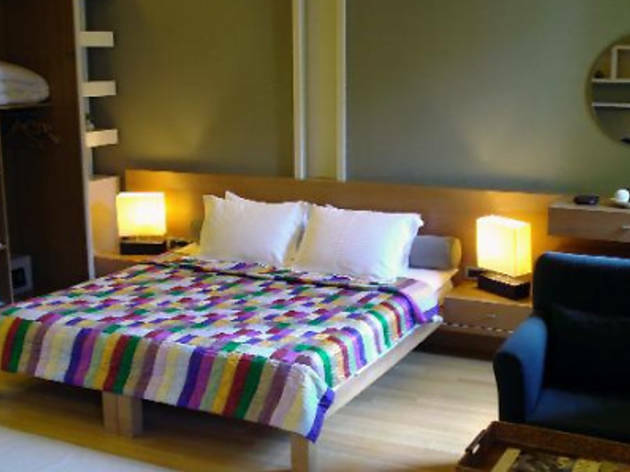 The rooms consist of 50 Executive, 42 non-smoking, 12 Executive suites, and 2 rooms specially designed for disabled individuals. 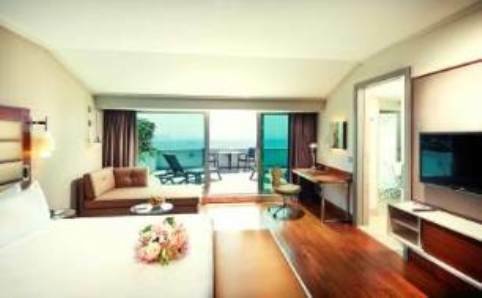 The hotel has 3 restaurants, the View Point Restaurant, which offers beautiful views of the city and delicious international cuisine, Ocean Restaurant, located on the lobby floor with a tranquil ocean theme, and the Piola Restaurant, a distinguished Italian restaurant home to fresh pasta and pizza. Lounge 34 and After 6 Lobby Bar are two great spots in the hotel to unwind from a stressful day and enjoy a wide variety of hot and cold, cocktails, and snacks. The hotel is equipped with 16 modern meeting rooms spread over 7 floors, each ready and able to meet any need guests might have. The Point Hotel Barbaros features exciting and unique amenities like The Game for Big Kids arcade, which is an unprecedented digital entertainment center that can accommodate 300 players at the same time, a gift shop of the Istanbul Art Museum, the Sahaf, a library featuring 3,000 books, and the Point Sports Center. Just 270 yards from the historic Galata Tower, this hotel features deluxe accommodation and its rooftop restaurant offers absolutely stunning views of old Istanbul and the Golden Horn. 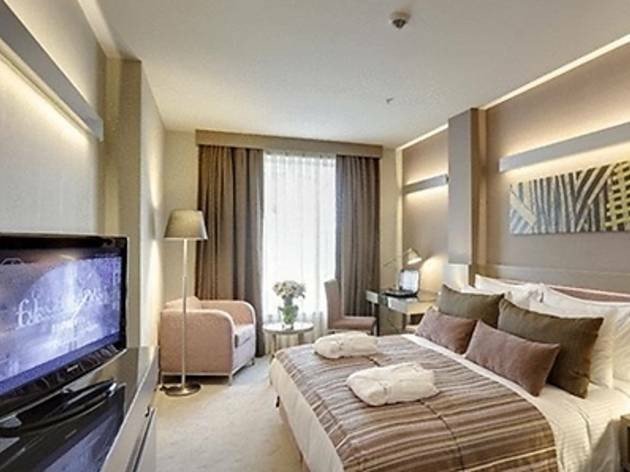 Each of the rooms at Anemon Galata Hotel is individually designed and furnished with modern comforts. Rich fabrics and warm colors form the basis of the stylish décor. Guests are able to check their email using Anemon’s free wireless internet connection. Taksim Square and the vibrant Beyoglu district is just a short walk from Anemon Galata Hotel, with a wealth of bars and shops. The historic attractions of the old city can be reached by a quick drive. After a day of sightseeing and shopping, Anemon’s fantastic rooftop terrace awaits. Guests can enjoy excellent Turkish and international cuisine while taking in the most amazing views of the Golden Horn and Istanbul. It’s the perfect place for enjoying a glass of wine as the sun sets. The hotel, which has free Wi-Fi throughout, features 26 rooms and 1 suite, all of which are equipped with air conditioning, a flat-screen TV with satellite channels, a minibar, and more. The Terrace Marmara Restaurant, which has magnificent views of the Hagia Sophia, Blue Mosque, and Marmara Sea, serves Ottoman-style cuisine while breakfast is offered as an open buffet at the Garden Restaurant. The Sultanahmet Tram stop, from which you can reach other major parts of the city, is a 5-minute walk away. Ataturk International Airport is 20 km from the hotel and a shuttle service can be arranged upon request at an additional fee. Tomtom Suites can be described as the quintessential boutique hotel. Centrally located in a neighbourhood full of contrasts, it provides a perfect base to explore the city. The Palais de France and several churches in the area take you back to Ottoman times when Beyoğlu was home to western Europeans. Their old-style chic competes with urban grit and local colour. The building used to house French nuns, who were employed as nurses. The facade has merely been cleaned up, but the interior has undergone a complete transformation. It is all sharp modern lines, softened by wooden floors. The suites are elegantly furnished in a sparse style, while the bathrooms boast Carrera marble and Philippe Starck bathtubs. A glass elevator that soars at a surprising speed will take you to the terrace bar. The view over the Bosphorus and Golden Horn is nothing short of spectacular. 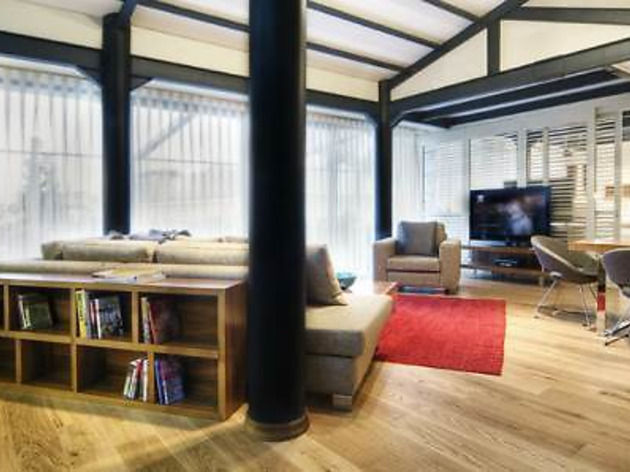 Ansen 130 is one of the rare buildings that has experienced Pera’s vibrant and rich history throughout time. 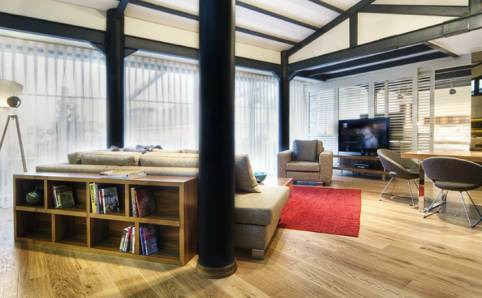 Renovated in 2003, Ansen 130 serves as a boutique hotel with 10 suites, each designed differently than the next. The suites, which are spread over five floors, have their own kitchen, study room, dressing room, and seating area. 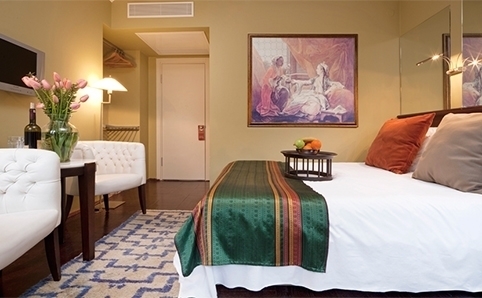 Each suite offers guests comfortable and modern accommodations in a great location. 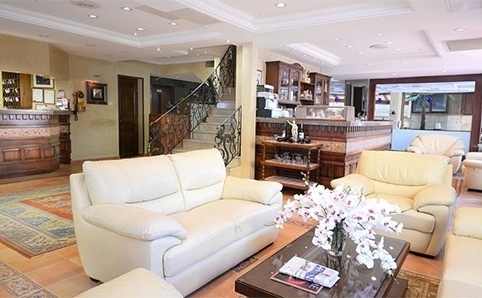 The top two floors have a view of the Haliç Bay, while the other floors and the front have a view of Meşrutiyet Avenue. Enjoying the view of the Haliç Bay and watching the sunset from penthouse suite number 510 is a unique treat. The Avantgarde Hotel offers unique décor, a spa where you can rejuvenate, ambitious cuisine, and deluxe service benefits. 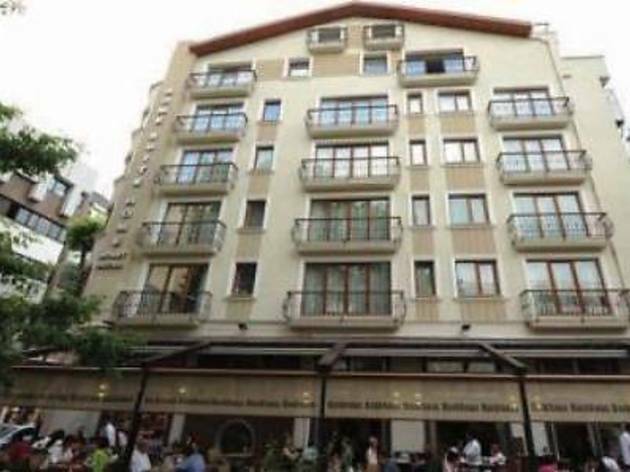 The hotel is located in the center of business life in Zincirlikuyu Levent and within walking distance of popular shopping malls and convention and entertainment centers located in Taksim, Maslak, and along the Bosphorus. With 84 total rooms, the hotel provides guests with 63 Deluxe, 14 Grand Deluxe, 4 Superior Deluxe, and 3 Residential Suites. Each room is equipped with standard and modern amenities, including tea and coffee, a worktable, LCD TV, ultra orthopedic beds, free Wi-Fi, and more. The Grandioso Ballroom can host a variety of events for up to 180 guests and the experienced staff is more than ready to help you. The Ace Restaurant offers delicious meals and outstanding service for dinner and afterwards you can enjoy wonderful views of the city at the El Cielo Terrace Lounge. 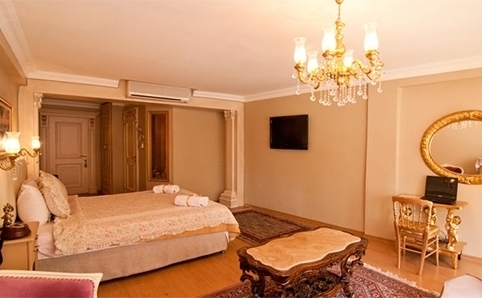 Emine Sultan Hotel & Suites is located in Sultanahmet, within walking distance of Istanbul’s must-see sites like the Hagia Sophia, Topkapi Palace, and Blue Mosque. The hotel’s proximity to the historic city center, as well as transportation networks to the rest of the city, isn’t the only reason to stay here. The 14 beautifully decorated rooms offer guests standard amenities and a wonderfully authentic atmosphere. 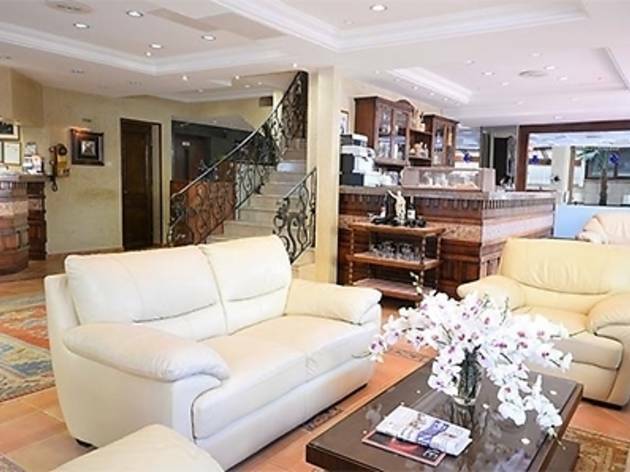 The expansive suites are located in a separate building 3-minutes away. The rooftop restaurant is the perfect place to start your day with delicious Turkish dishes accompanied by a wonderful view of the Marmara Sea. You can also enjoy traditional tea and coffee at the rooftop bar and a mouthwatering breakfast buffet. 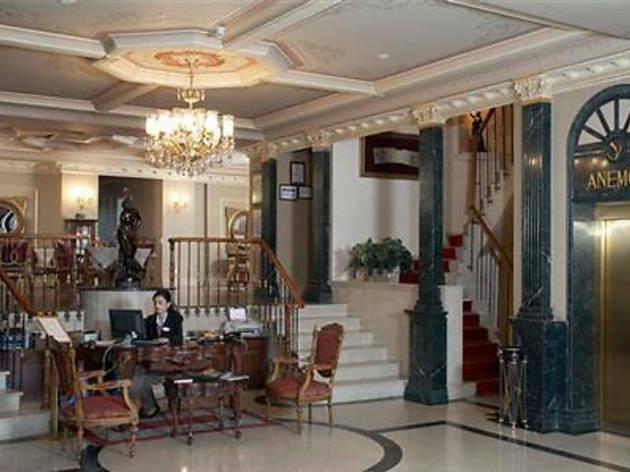 The hotel’s experienced concierge is ready to help you plan your stay in the city and can coordinate a number of activities for you like dining out in the city, private city tours, private Bosphorus tours, private guides, exclusive night club reservations, transfer services and more. 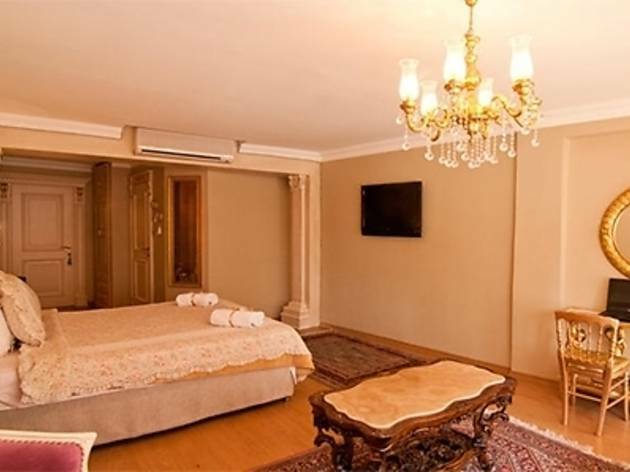 Located along the coast of the Golden Horn the Lazzoni Hotel provides guests with renowned experience in the service industry. The hotel displays exquisite taste through its design, architecture, and decor as it was created by the Lazzoni Group an international furniture retailer that has over 20 stores in North American, Europe, and Africa. The hotel features 133 rooms, a rooftop bar that can accommodate 200 people, a restaurant that prepares fine and delicious dishes, meeting and event rooms that can accommodate 400 people, and a spa, which includes an indoor pool, Turkish hamam, sauna, massage rooms and more. 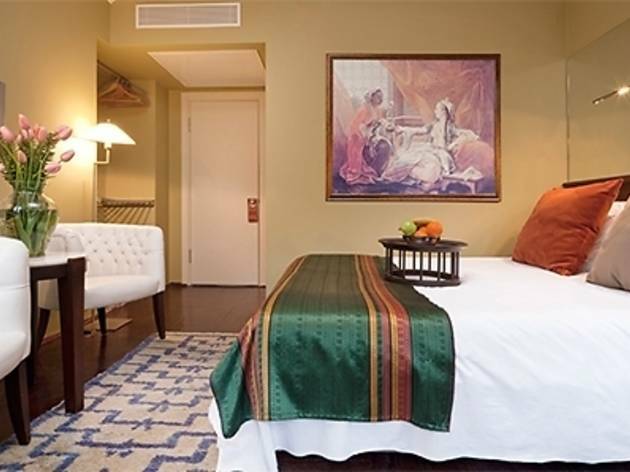 Each room has been custom designed, featuring elements of modernity, luxury, and tranquility. Enjoy the hotel’s free Wi-Fi, 24-hour business center, and fitness center. 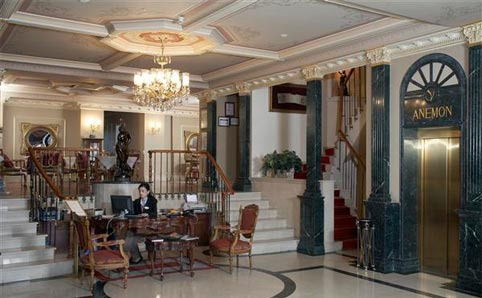 The hotel is situated next to the Halic Congress Center, 10-minutes from the Old City, where you can explore Istanbul’s awe-inspiring historic sites like the Hagia Sophia and Topkapi Palace, and 15-minutes away from the city’s bustling business centers. With a professional approach to hospitality and service, the Mercure Istanbul Taksim Hotel offers guests a convenient location and comfortable accommodations. 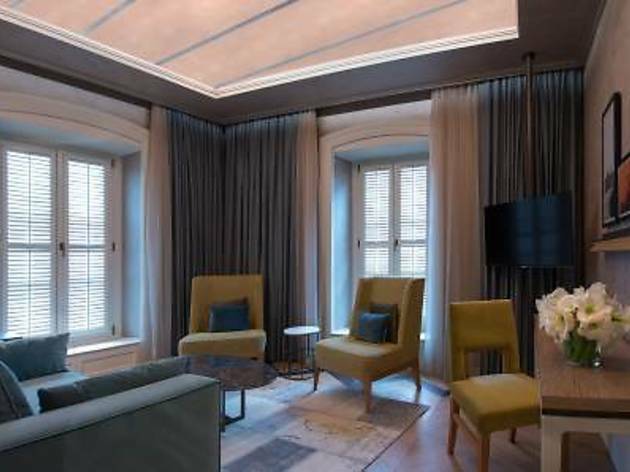 The 137-room hotel, 2 of which are designed especially for disabled individuals, 50 of which non-smoking rooms, feature standard in-room amenities and tranquil views of the city or Bosphorus. The hotel’s restaurant offers both international and Turkish cuisine until 10 pm everyday. The hotel’s bar is a wonderful place to watch your favorite sports team on TV while enjoying a drink accompanied by a beautiful view of the city. The hotel features facilities for disabled individuals, a fitness center, business amenities including Wi-Fi throughout the hotel, and a self-service business center, concierge service, and dry cleaning and ironing at an additional cost. The hotel has 2 meeting rooms that are equipped with the latest technology and amenities. 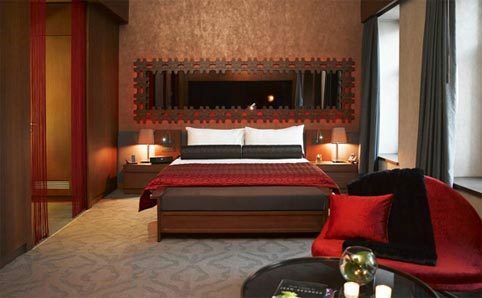 Situated in the up and coming district of Karakoy, 10 Karakoy is a luxury boutique hotel and Morgans Original. 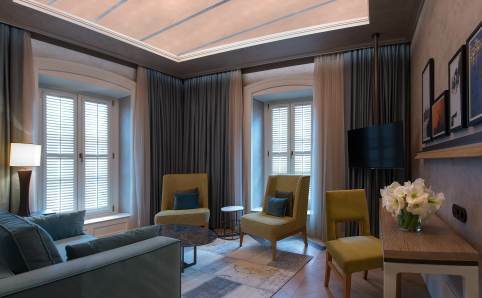 Located in a historic, neo-classical building that has been revamped by famous architect Sinan Kafadar to portray a contemporary ambiance, 10 Karakoy welcomes guests with high quality service standards. The hotel features 71 guest rooms, expansive Loft & Terrace Suites, and a Penthouse that has a unique private terrace. Each room is equipped with standard amenities like a workspace and desk, iPod docking station, LED HDTV’s, espresso machine, and 24-hour room service. The rooms overlook wonderful views of the city and are designed to provide you with a comfortable and relaxing environment. Along with your room comes a complimentary breakfast at Rudolf. The 73-square meter meeting room offers an ideal location for meetings or events. Equipped with the latest technology and services, the Balikli Meeting Room can also expand to include the foyer. Events and meetings that you organize at 10 Karakoy Istanbul will also feature food and beverages reflecting classic Istanbul cuisine.